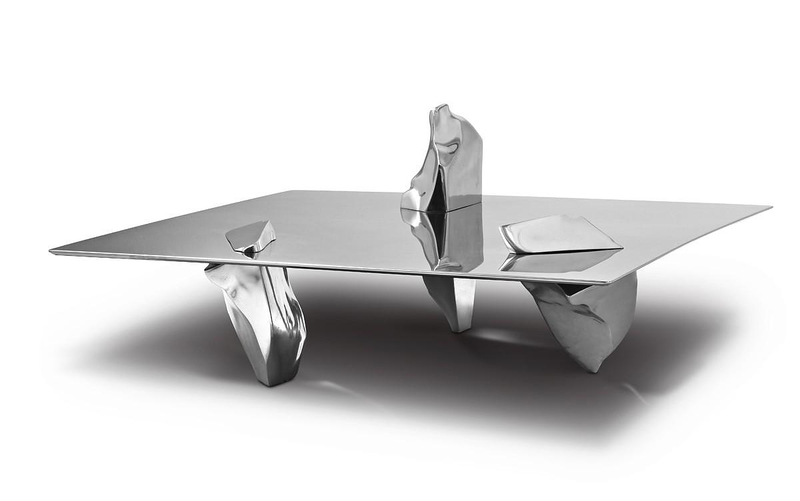 HomeBlogArtSERENO Coffee Table by Fredrikson Stallard for Driade. 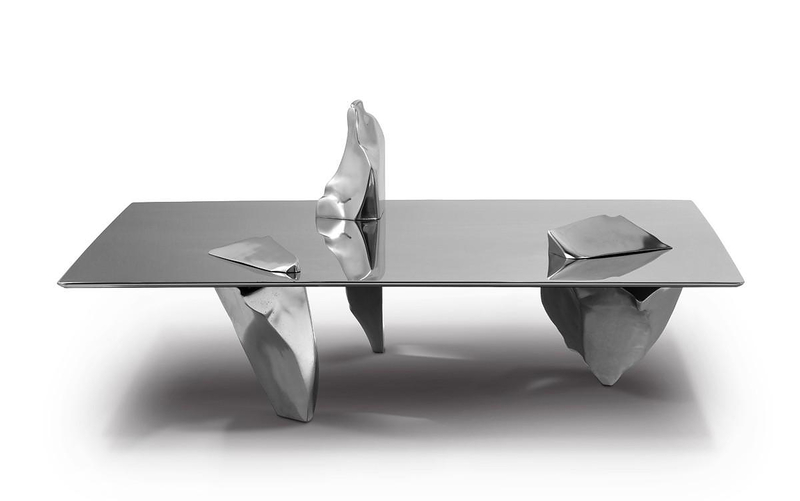 Patrik Fredrikson & Ian Stallard often create pieces that exude an energy found in works of abstract expressionism, such as the striking SERENO Coffee table they created for Italian brand Driade. In SERENO the designers used a unique design language which brings to the coffee table a sense of serenity. The distinctive design of the table, which unifies naturally three different elements in its surface forms a characteristic Fredrikson Stallard piece. 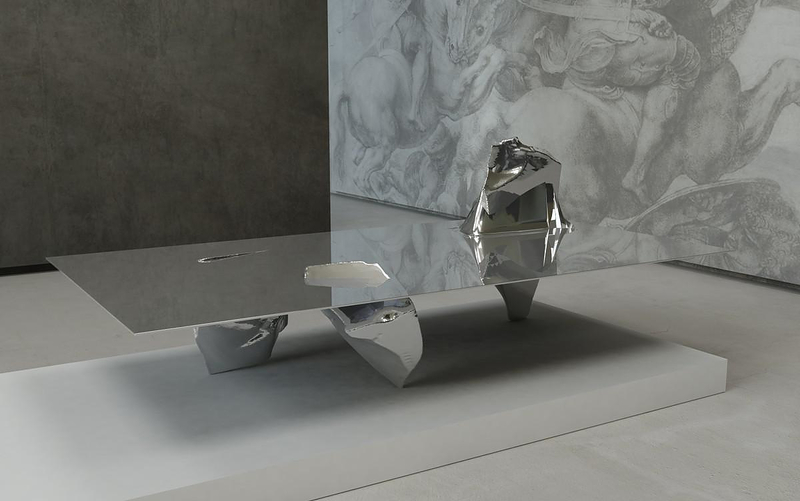 The forms themselves are created from shards of glass violently created by the artists, but they become unified in utter stillness by the inclusion of a simple flat sheet and the transformation of the group into polished stainless steel. This brings a reflection of the three unified elements in the surface, creating one of Fredrikson Stallard’s recurring themes, the Rorschach like symmetrical pattern. This further conveys their nature from turmoil to serenity, as they resolve themselves through the reorganization of symmetry. Thus, the SERENO Coffee Table is elevated beyond the designation of an everyday furniture piece and is better described as a functional piece of art.